Verne Tower calls himself a stone-cutter and what he does as “chopping rock” but as you will see that involves a combination of many different skills. While strictly speaking he is not located in Pine Plains — although I met him while he was working here — the real justification for including him in this website is that his skills and knowledge contribute to the value of communities like Pine Plains. 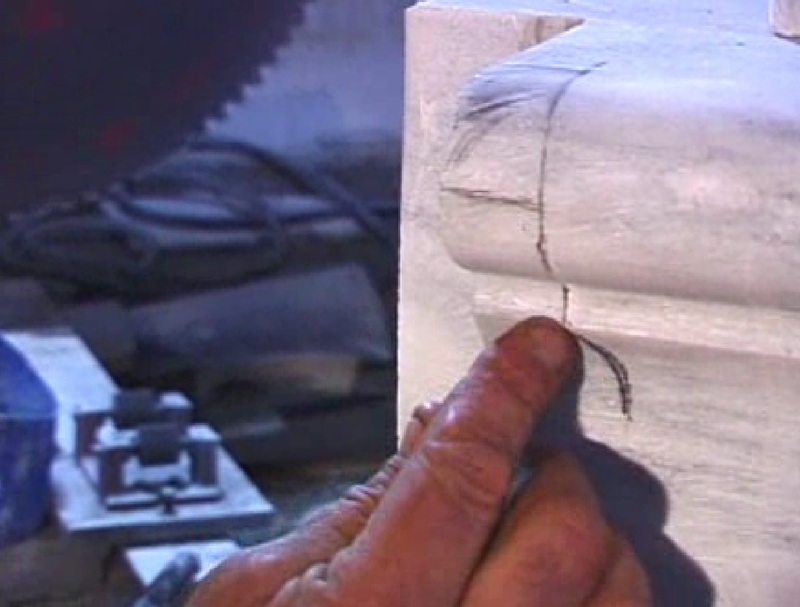 He is re-creating a very elaborate marble stoop for a historic mansion in Hudson, NY, in his stone-yard just over the Massachusetts state line. After a lunch break, Verne showed me how he makes the detailed radius end of a step. And finally, in its place in Hudson, NY, on Warren Street, the “old” stoop just as if it had always been there!